What happens if gluten is ingested by mistake? Can my child eat a little bit of gluten occasionally? NO. Gluten ingestion in any form is not allowed even in a very small quantity. Read Gluten Math to understand more. 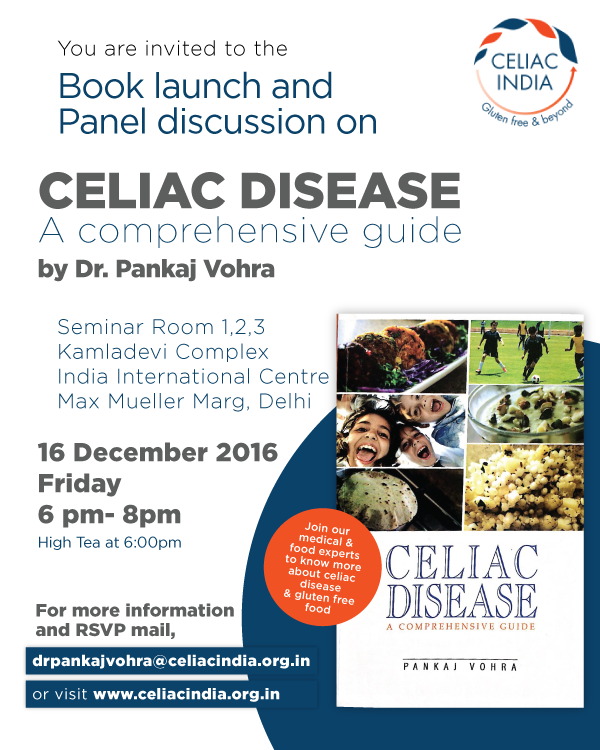 Is there a cure for celiac disease in Homeopathy and Ayurveda? As of today, there is no cure for celiac disease in Allopathy. Homeopathy or Ayurveda are alternative medical systems. We are not aware of any scientific evidence of the treatment of celiac disease in these systems either. Please remember that even after the symptoms fade away completely, reintroduction to gluten will cause damage to the intestine again. This may be visible in the form of serious complications which may manifest after a few years (Read ‘What happens if gluten is ingested by mistake?’). I am a celiac and I avoid gluten though not completely. However, I feel fine. Do I need to follow a strict gluten free diet? A strict gluten free diet is a must for a celiac. You may feel fine today but with the ongoing ingestion of gluten, the damage to the intestines will continue and result in complications. Why is it important to be tested for tTG at each follow-up? TTG should be tested annually to assess if there is any ingestion of gluten taking place- whether knowingly or unknowingly. I was diagnosed many years ago but I have never visited my doctor for a follow-up. Can I do it now? Of course, you can visit your doctor. Doctors are there to help and guide you. On a lighter vein, you may get a little scolding but it is for your good! What should one do if there is no improvement even after following a strict gluten free diet?